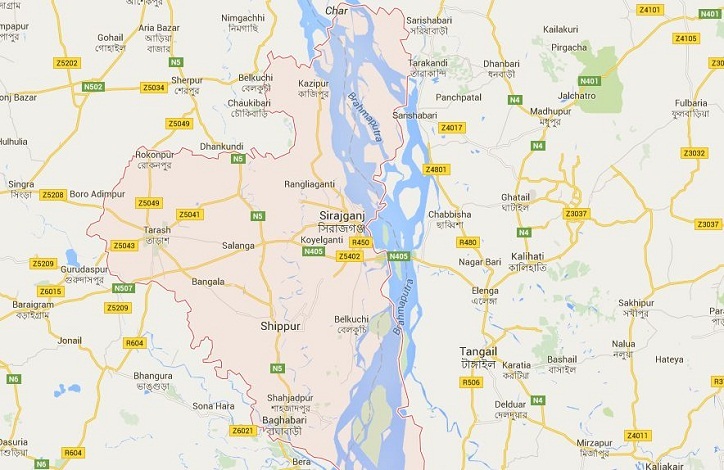 A union parishad member was hacked to death by unidentified miscreants in Saidabad area of Sadar upazila in Sirajganj district on Saturday night. The deceased was identified as Monirul Islam, 30, son of Azizul Haque and member of ward no 1 in Rajapur union of Belkuchi upazila, reports UNB. Victim’s family members said Monirul and his nephew Russel, 25 were returning home from Randhuni Bari Bazar around 10.30pm. When they reached the area, miscreants opened fire on them, leaving the duo injured with bullets. Later, they stabbed Monirul indiscriminately, leaving him dead, said Ali Jahan, sub-inspector of Sadar Police Station. On information, police recovered the body and sent it to Sirajganj Sadar Hospital morgue for autopsy.